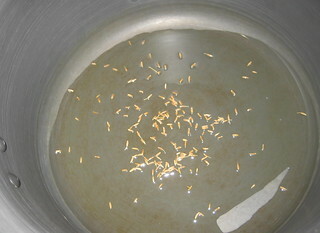 Wash and soak moth beans for 5 to 6 hours,drain and keep it aside. Take some oil in pressure cooker,add cumin seeds fry for 1 minutes then add chopped onions,green chillies and saute it till light brown . 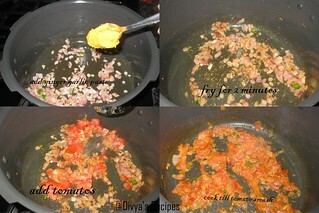 Now add ginger-garlic paste fry for 3 minutes,now add chopped tomato and saute for 5 minutes. 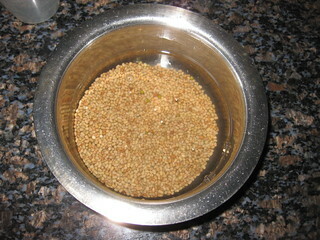 Now add moth beans ,red chillie powder,garam masala powder,coriander powder,turmeric powder,salt to it.,toss well and fry for 3 minutes. 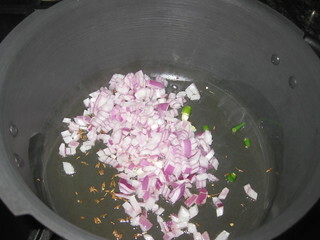 Now add 2 to 3 cups water .Close the lid of pressure cooker and wait for 2 whistles.Do not cook to much,it will become mushy. Open the cooker.Adjust the consistency,this curry is semi liquid in consistency,add coriander leaves.Cook in low flame for 5 minutes. 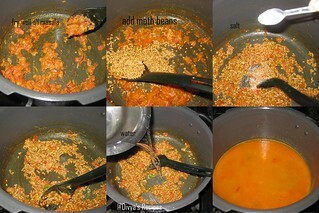 For this we can use soaked or un soaked moth beans.Only thing we need do soaked moth beans cook it for 1 whistles. Un soaked beans we need cook for 2 to 3 whistles.I tried both way it came out good. Congrats on your 200th post.. wishing you all the best for future milestones. 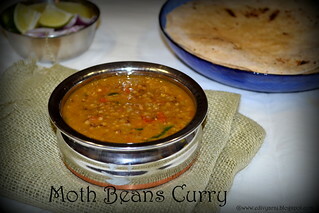 Moth bean curry looks very delicious. Congratulations for your 200th post. 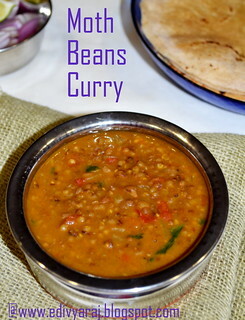 This wonderful dal is one of my favorite.Thank you for posting. Congrats dear on 200 post. Many you post many such 100s of posts. 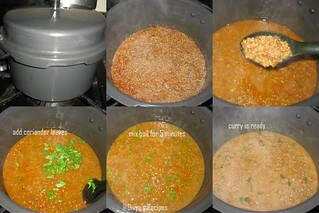 the curry looks awesome, even I love cooking with moth beans. Congrats on your 200th post dear..healthy recipe,love it. Congratulations on a job well done! Love this nutritious dal with chappati any time! Congrats Divya, matki ki sabzi looks delicious and inviting..
Looks delicious, congrats on your 200th ost. Congrats dear..keep rocking n posting wonderful recipes! Congrats on your 200th post. Simple yet delicious recipe. Congrats on u r 200th post well done. 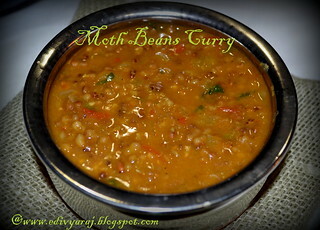 Moth beans curry looks fabulous perfect with chapathi. Congratulations on your 200th post. 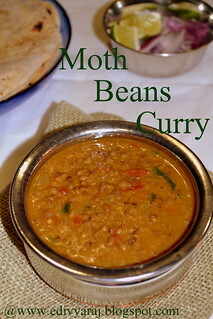 Moth Beans Curry sounds wonderful! 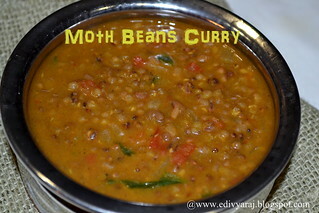 Moth bean curry looks healthy and yumm. Congrats on ur 200th post !!!! Congrats on your 200th post...curry looks yummy and very inviting. happy 200th...Nice recipe..looks so yummy!! congrats on ur 200th post...keep them coming!. The moth curry seems delicious & easy. 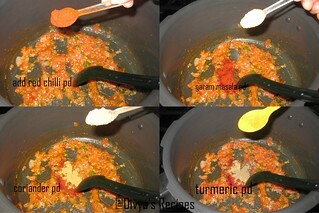 Congratulations, Divya..Delicious curry, love it with rotis..
COngrats on your 200th post! And this one is very new to me,sounds great! Congrats on your 200th posts! Keep it up and looking forward more good recipes from you. Happy Blogging! the pictures have a blank tinge. perhaps its only my PC (cant see at all, only black screen? Congrats on your 200th posts. You have come a long way. Wishing you many happy blogging years ahead. Look forward to reading more awesome recipes from you. cheers! Congrats on the double century dear and love the spicy curry with the legume. congrats divya--it is indeed a laudable feat; ur step-wise pics and good explanation light up the recipes--keep rocking gal !